Nice in-depth incisive review from Chad Clark at Machine Mean. It’s a pretty rare occurrence for me to be scared by a book anymore. And I’m not saying that as a way of bragging, just that after you’ve seen so many horror movies and read or written so many stories, it gets harder and harder to get to that emotional place. That being said, it’s well within the realm of possibility that I can be disturbed by a book. 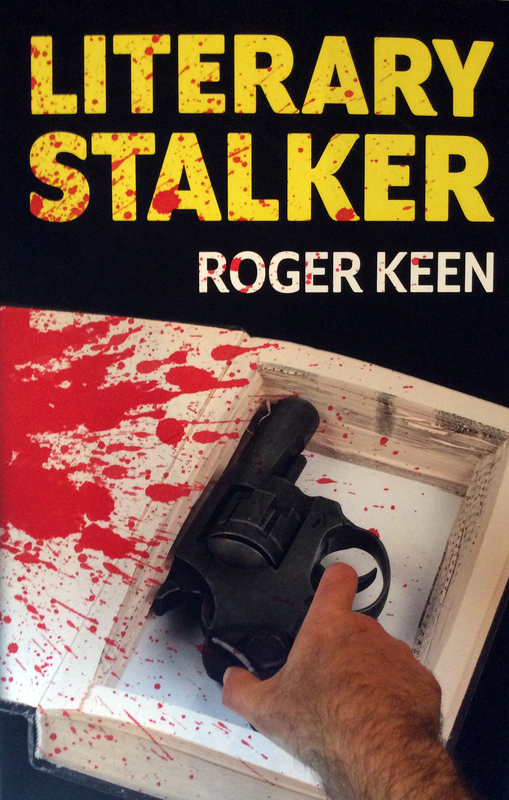 And this brings us to the topic for today, Literary Stalker, by Roger Keen. In debates about gun crime and gun control, one old chestnut comment keeps cropping up: It’s not guns that kill people, it’s people that kill people. What an idiotic thing to say! When you have a gun in your hand, you know full well it’s the gun that’s going to do the killing and you’re just a passenger. How would ‘you’, minus the gun, go about killing someone? Grab them by the throat and try to strangle them? Pound them to death with your fists? Kick them to death? Use the Five Point Palm Exploding Heart Technique? Or use a lesser weapon, such as a knife or baseball bat? All are possibilities to be sure, but none are exactly easy and inevitably involve some level of physical prowess, fighting knowledge and skills. What’s more, once you embark on such an attack, your victim is going to take evasive action, retaliate and perhaps overpower you. Taking all this into account, it’s highly likely that ‘you’ wouldn’t consider it advisable to undertake the killing attempt at all. But if you possess a gun, it’s different. With one of those, you can stand a distance away from your victim, and providing you can point the thing straight and hold it as though you mean business, you have the complete upper hand. And if you’ve got the balls to pull the trigger…well. How much percentage of the kill would be down to ‘you’ and how much down to the gun? So what does the Literary Stalker do? He steals a World War II Webley service revolver from his great uncle and uses it to murder three of his intended victims. But hey, it only happens in a novel-within-a-novel. More info: Darkness Visible Publishing.